I finished reading NW a week before the London 2012 opening ceremony, and now I'm left with impressions (as Walter Pater called them back in the day) rather than a strong sense of plot or clear emotional response to the story Zadie Smith unfolds. While the seeming failure of detailed memory in this case might be related to this (aging) or that (recreational after-class activities during university), I'm inclined to believe that this circumstance closely relates to Smith's storytelling. And that leads me to my first impression. As true to life as that may be, as narrative (or narrative bits, I guess) that much trivial detail spread out over so many pages is exceptional difficult to hold as a coherent unit. Smith may be intending exactly that, but just as watching 184 YouTube clips in which cats play musical instruments, at a certain point the mind slows, unable to distinguish one from the next and unable to comprehend what it all means. My second impression branches from my first: to me, Smith's visible-on-every-page technique overshadows her story, its characters, and their plights. As with the Fringe performer analogy, the supposed virtuosity of the guy's rapid costume switches and instantaneous vocal shifts (now God, now Moses, now Rameses, now Nefretiri) is what ultimately attracts most of the attention. As one of NW's readers I ended up thinking about her writing strategies, puzzling about the success or efficacy of those choices, and wondering about questions of textually representing contemporary reality. While those ideas are interesting in themselves, they seem to belong to an essay: "Writing the Metropolis Circa 2012: Speculations on Contemporary Narration." 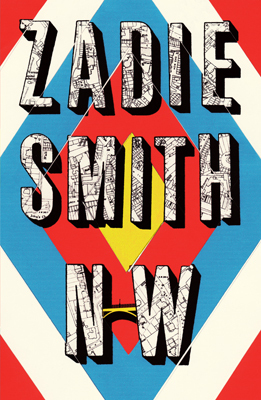 In foregrounding her technique and her writing talent, though, Smith seems to me to do a disservice to the core aspect of her writing project: her characters and the crises of existence they must face. The novel's reviews have been strangely divisive (from "clunky" and "predictable to the extreme" to "falls so far short of being a successful novel" to "a joyous, optimistic, angry masterpiece, and no better English novel will be published this year, or, probably, next"), and if nothing else that tells me other reviewers are struggling to make sense of its qualities—which might also mean it's a dazzling experimental performances whose brilliance can confound lesser readers, or an impressive experiment that didn't really work out as expected.